Self drive car hire Nairobi / self drive car rental Kenyatta Airport (JKIA). Self drive car hire is the best of hire if you desire privacy or to explore the destination at your own pace. Self drive is desirable for family travelling together, couples on honeymoon or when on a road trip. Self driving means being familiar with the destination-the local language, the attractions and their status, places of accommodation available, open or closed. IF YOU WILL VISIT NATIONAL PARKS, BE familiar with RULES, REGULATIONS AND ANIMAL BEHAVIOUR. Otherwise you will end up being killed or injured by an irate wild animal. Buffaloes, elephant and hippos are extremely dangerous. 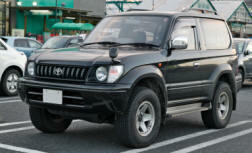 Stereo tape/CD player, Automatic or manual transmission, Abs, 2/3or 5 doors, for 2/4/5 passengers and luggage space. Destination>Where will you be ravelling to? Are you going to be within the city or will you go upcountry? Nairobi Car Hire And Rental Company provides self drive services through out Kenya and the rest of East Africa. Self drive car hire is ultimate flexibility, and fun in your own privacy. Self drive means lots of freedom and choice. 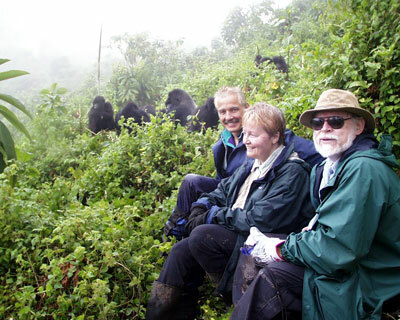 Self drive safari can be guided or totally private. Guided self drive means that you have a private guide as who doubles up as a driver. Alternatively you can drive and the guide will advice you on places of visit. Unlike in group tours where programmes are fixed, self drive car hire gives lots of lee way. You can trim some part of the tour, you can skip a scheduled visit. You decide w hen to wake up, start your journey and where to visit. Whether to use a guide or not boils down to certain factors. The Most Important of these is your familiarity with the car and destination. An understanding of how a car works means that you do your daily driver's checks without fail. You daily check your car fluid levels- water, oil, tft and transmission fluids and physical examination of tyre pressure, lights etc. Making sure that these are in order will determine whether you breakdown in the middle of nowhere or not. More so , you should be familiar with car electrical-wiring. Nothing is more embarrassing than calling for help only to discover that the fault is caused by loose battery terminals. Night driving require that you check your headlights are in working order all the time. Unlike conventional cars, 4x4s require additional driving knowledge. When to and how to drive when you 4x4 is engaged in very important. If you have limited car experience, have a guide otherwise you will end up breaking your car or worse still a rental car and paying heavily. Broken cars also means waste of time. Self driving means being familiar with the destination. It means you can communicate in the language at the destination. It means you know when the attractions are open or when closed. It means you know places of accommodation, whether they are available, open or closed. IF YOU WILL VISIT NATIONAL PARKS, BE familiar with RULES, REGULATIONS AND ANIMAL BEHAVIOUR. Otherwise you will end up being killed or injured by an irate wild animal. Buffaloes, elephant and hippos are extremely dangerous. Photographic Safaris: Self drive photographic safaris means a car that is neither too high now too low. That means sedan cars or high tour buses and tracks will not give you good photo exposures. Settle for a 4x4 or microbus. SELF DIVE, means you are over 23 year of age and less than 65, in possession of valid driving license and papers of identification. You may also be required to produce a credit card or pay refundable USD 500 in addition to the rental amount. However age limit and refundable deposit are subject to waiver depending on certain conditions. 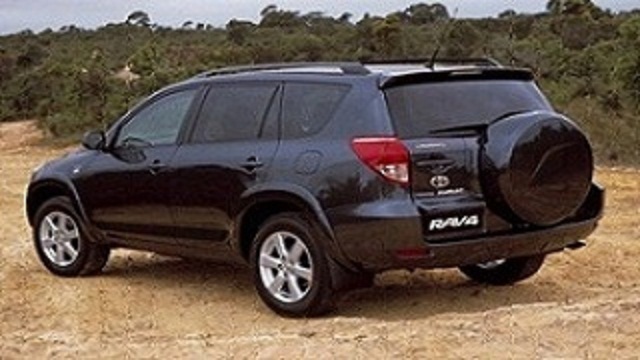 Our selection of self drive rental cars in Nairobi include the latest of SUVs (Sport Utility Vehicles) also called Off-road cars like Toyota Rav4, Toyota Land Cruiser ,Pajero i/o, Honda CRV , Suzuki Grand Vitara, Toyota Prado, Mitsubishi Pajero, Nissan X trail, Hilux double cabin pick ups and full size 4x4 Safari Landcruisers, Land rovers and Safari minivans vans. Fun: Self drive Car hire is fun. You driver where you want, when you want and at your own pace. You are your own judge. One Way Rental/ Rent Here Leave It there: Flexibility is also exhibited as regards pick up and drop off. You can rent in Nairobi and drop off your car in Mombasa, Malindi or pick from airport and return in the hotels. You can pick the car at Jomo Kenyatta Airport and drop it in the hotels. Airport self drive rental locations include Nairobi Jomo Kenyatta International Airport (Coded NBO or JKIA), Moi Airport Mombasa (MBA), Malindi Airport (MYD), Kigali (Rwanda),Entebbe Airport (Uganda), Bujumbura (Burundi) , Dar Es Salaam Airport (DAR), Kilimanjaro Airport (JRO), Arusha ( Tanzania) and Zanzibar. Whatever your car hire services ore options in Nairobi Kenya, - 4x4wd (four wheel drive) self drive, with driver or chauffeur driven our car hire company offers you cars on unlimited mileage basis. This means that as our guest, you enjoy a high degree of freedom to move and discover Kenya at your own pace. All the cars listed above are available on request. The car rental rates/prices above are on unlimited mileage basis and include all relevant government taxes. The rates are subject to currency fluctuation. Airport transfers services between JKIA (Jomo Kenyatta International Airport) to the city hotels will take between 20 and 30minutes depending on the traffic situation and your hotel of destination.